bomber force on Bastogne. 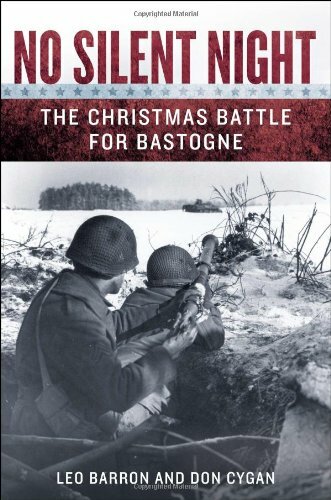 For Bastogne was the holdout city, center of Allied resistance to his Wacht am Rhein (Watch on the Rhein) offensiveâ€”the German surprise attack in the west that would become known among the Allies as the Battle of the Bulgeâ€¦ The battle that would result from Hitlerâ€™s orders would become the climactic event of the Bastogne saga: a rapid-fire, desperate assault by overwhelming German armored might, defended in bloody struggles by the ragged and weapons-strapped GIs trapped in Bastogne. It would be either the last stand of the American defenders or the culmination of the German drive to capture the vital crossroads. Either way pointed to a climactic showdownâ€”a desperate bloodbath in the snowy fields of Bastogne. For hundreds of German and American soldiers facing off in the siege, the events of Christmas 1944 would destroy any sense of holiness and peace on earth. For the soldiers on both sides, and for the brave people of Bastogne, this would be no silent night.